At reunions in Raleigh and Atlantic Beach, the fountain of youth is a wellspring of cold beer and classic beach music. Just one word — shag — conjures an indelible scene: a wooden floor scuffed smooth; a jukebox spinning rhythm and blues; a room overflowing with laughter, flirting, and smooth dance moves; a special energy rolling through the place in waves. For those who loved it, they’ll never forget it, and if given a chance, they’re game to relive it. That’s what Fred Fletcher discovered when, recovering from cancer treatment, he happened upon the “I grew up in Raleigh NC” Facebook page, where folks were waxing nostalgic about a certain 1960s Raleigh shag club and beer joint called the Jolly Knave. Still, he was surprised by the lasting affection for the Jolly Knave all these decades later. When someone on Facebook suggested a reunion, he replied: “If you’re serious, maybe we can do that.” Within two weeks they had an organizing committee, a mailing list, and 700 friends on a designated Facebook page. The first Knave reunion was held in 2010 at Raleigh’s Loafers Beach Club. 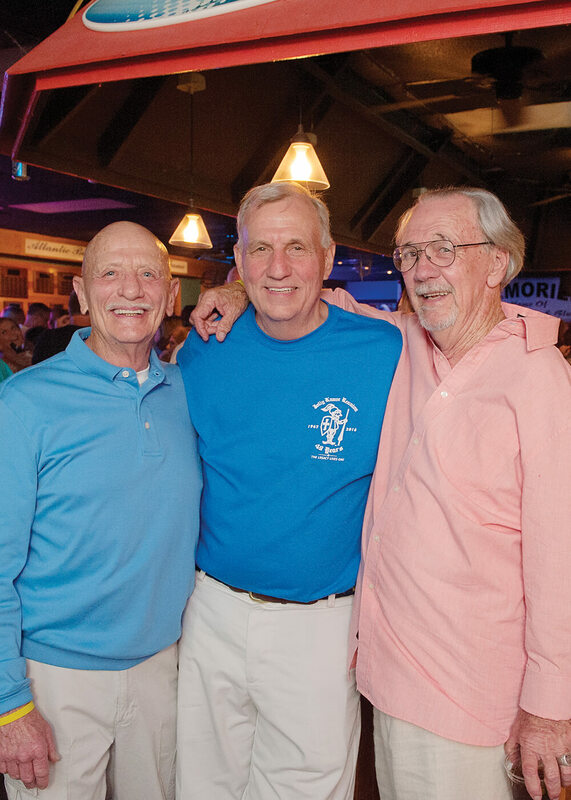 Last year, Fletcher hosted a second get-together, this time in Atlantic Beach, where he had opened a Jolly Knave outpost on the causeway in 1971. The original Jolly Knave in Raleigh was famous for its 26 steps — a granite one at the door and two sets of wooden steps that led up to the club, which occupied the second floor of a former rooming house. The building had unfinished hardwoods throughout, making it ideal for shagging. Fletcher tore out walls to create one large dance hall, with the fabled Jolly Knave jukebox against the front wall. A long wooden bar ran along a side wall, and there were rails throughout to lean against and set down a beer. Fletcher says his distributor told him that the Knave crowd consumed more beer — 26 kegs a week, on average — than any other club in Raleigh. 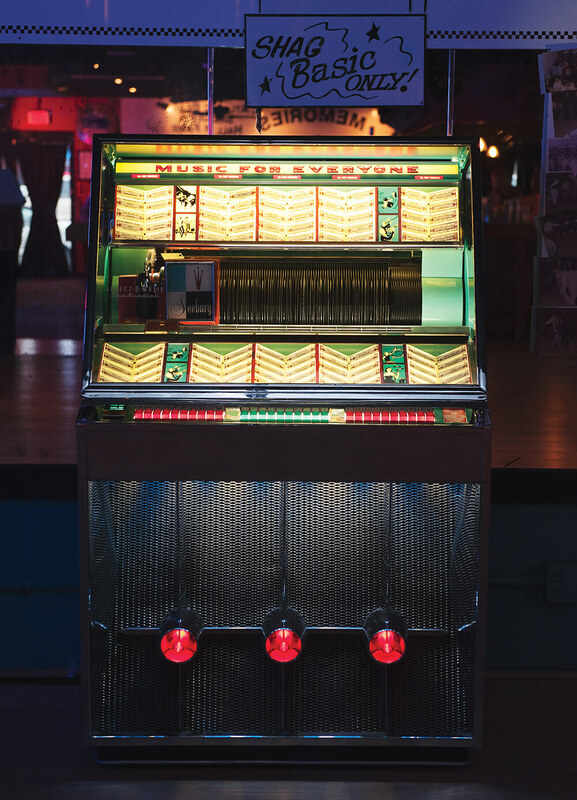 “The Knave had the best jukebox you’ve ever heard,” says Jeppy McDowell, who has been teaching shag dancing for 35 years at a beach club in North Myrtle Beach. McDowell got his start helping manage the Jolly Knave in Raleigh. “Fred would take this steamer trunk and load it up with old songs and bring it by the club. We’d put ’em on the jukebox, and a couple months later we’d switch ’em out again. We were the place that all the dancers went to shag.” But the dancing didn’t stop when the club closed for the night. Word would go out about where to head next, and impromptu dance parties would break out around the city. For the Jolly Knave’s 49th anniversary reunion in May 2016, the venue moved to Memories Beach Club, near the site of the Atlantic Beach Jolly Knave (now the Crab’s Claw restaurant). When Fletcher closed the Raleigh Knave in 1971, he opened the Atlantic Beach Knave that same year, on the site of a burned-out beach hotel. Poole and her friends trekked to the two-story oceanfront club practically every weekend to shag. “They didn’t care if you came in your bathing suit or shorts or whatever you wanted to wear,” she says. For DJ Bill Harper, the evening brought back more than musical memories. He bought the Atlantic Beach Knave from Fletcher in 1978 and kept it going for two decades. “It was old-school. It was a beer joint. It was rustic. And it was hot,” he says. “People still talk about how hot that place was.” For the longest time, there was no air-conditioning; only ocean breezes wafting through the doorways stirred the air inside. Guys would show up in their starched Gant shirts and leave wringing wet. The next shag reunion is November 3-4 at Loafers Beach Club in Raleigh.